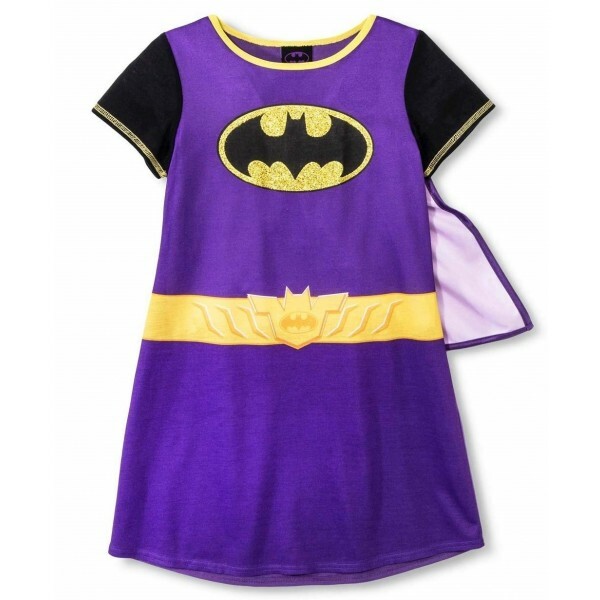 Get ready for dreams full of daring with this officially licensed caped Batgirl nightgown! 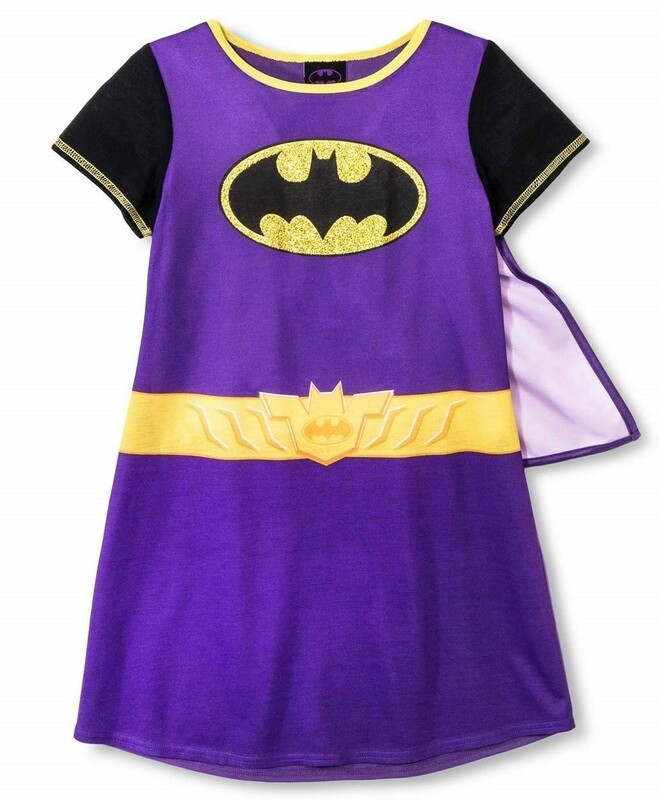 This soft and flame-resistant nightgown includes double-stitched hems and a ribbed knit collar, so it's extra durable, but what kids will love are the sublimated graphics, the glitter accent on the bat symbol, and of course, the removable cape! 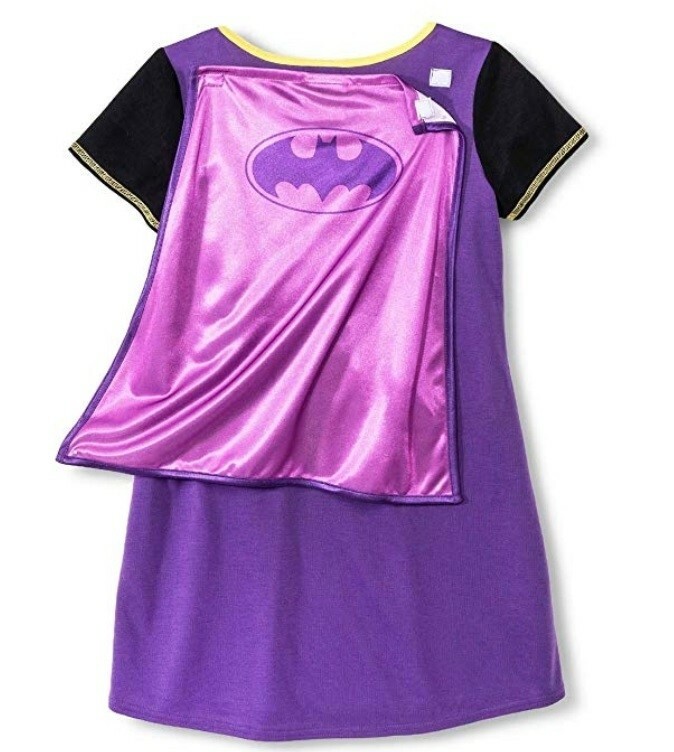 Available in sizes 6/6X, 7/8, and 10/12.